If I don't do anything else, I do like to get at least one block done in the colour of the month for the Rainbow Scrap Challenge. October seemed to be taken up with illness, and it's taken a while to get back into a routine. 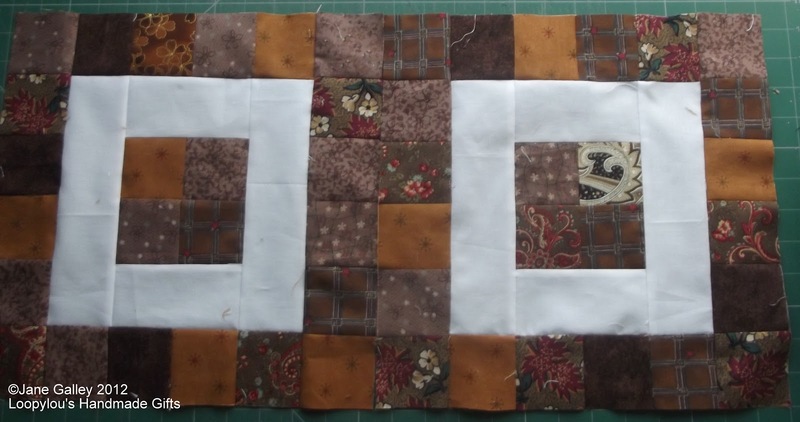 I know October is over, but I've done my brown blocks. 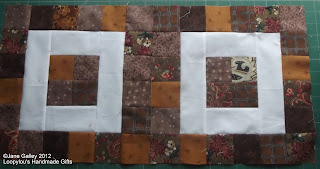 I just made enough blocks to use up some of the 21/2" squares I have in my scrap bag. Now I can eagerly await the new colour for November. What do you do with old jeans?